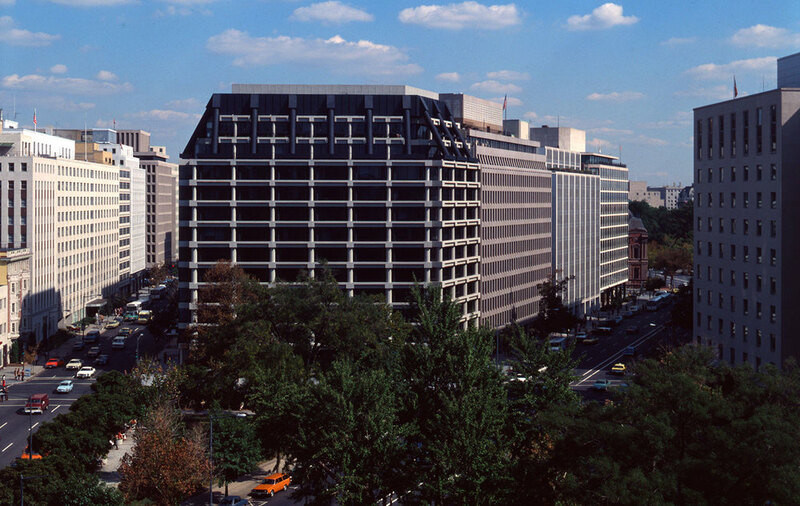 Intended as "a relatively tame foreground structure," the scale, gray and black color, and degree of forcefulness of the National Permanent Building were tailored to its prominent location on a triangular Pennsylvania Avenue site located two blocks from the White House. The ten-story building is defined by an external framework of round concrete columns which narrow as they rise to carry lighter loads and by round air conditioning ducts which narrow as they descend to carry lighter cooling loads. 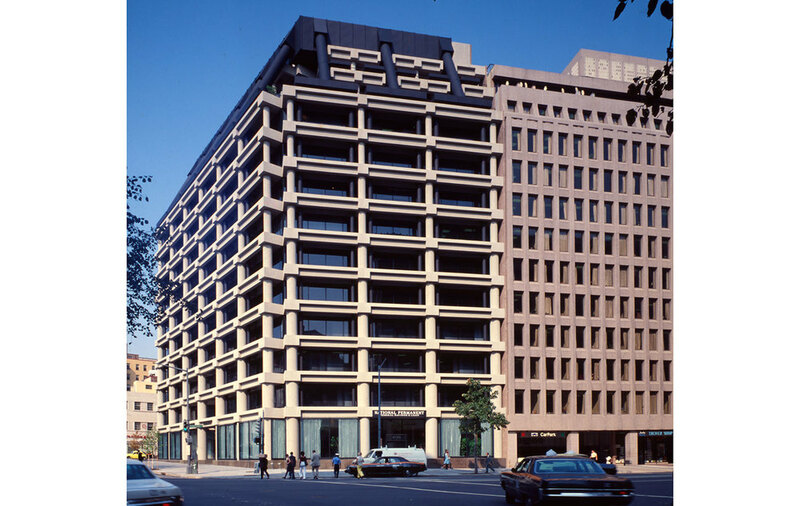 The scheme adheres to the modernist dictum of expressing function while taking initial steps toward historicism by alluding to the nearby Old Executive Office Building with its multitude of exterior columns.